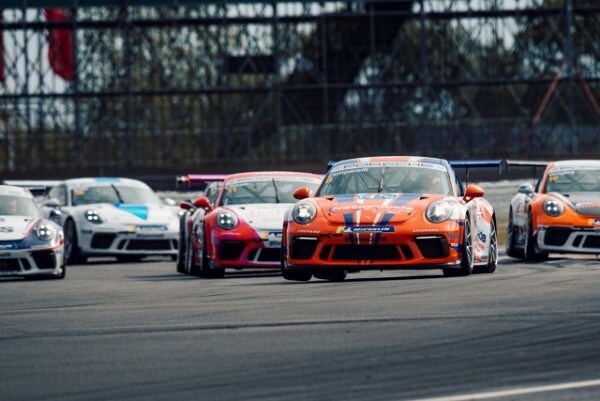 The Porsche Carrera Cup GB championship, the fastest single marque GT racing championship in the UK, saw two action-packed races at Silverstone – the result means that all three category title battles will go down to the wire at the final weekend at Brands Hatch. Championship leader Dino Zamparelli (Redline Racing) took victory in Round Thirteen while Tom Wrigley (JTR) won Round Fourteen, with just two races remaining of the 2018 season Zamparelli now leads Tio Ellinas (Slidesports Engineering) by eight points with Wrigley a further eleven points adrift. All three drivers will fight for the Pro category championship title during the final weekend. 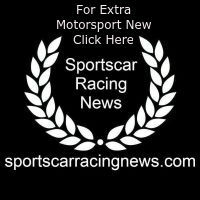 Silverstone’s short and fast National circuit ensured close racing throughout the weekend with small margins separating drivers in all three categories. Seb Perez (Amigos Team Parker) maintained his lead of the Pro-Am category championship from Dan Vaughan (Motorbase Performance), each took victories at Silverstone and were joined on the podium twice by Dan Welch (Welch Motorsport). Perez, Vaughan and Jamie Orton (JTR) can clinch Pro-Am championship honours at Brands Hatch. Am category rivals Peter Mangion (Team Parker Racing) and Peter Kyle-Henney (IN2 Racing) each recorded a category victory at Silverstone, they remain separated by just ten points ahead of the championship’s final two races. Pro category driver George Gamble (Amigos Team Parker) secured the Rookie category championship at Silverstone, his haul of wins and podium finishes throughout the 2018 season has afforded him a now unassailable points lead. The championship welcomed two newcomers at Silverstone, Tom Jackson (GT Marques) is a former British F4 front-runner, Sam Brabham (Redline Racing) returned to competition for the first time in four years continuing the rich Brabham family racing heritage. Both drivers improved gradually throughout the weekend as they got to grips with competing in the Porsche Carrera Cup GB championship. Dry conditions welcomed championship title rivals Dino Zamparelli (Redline Racing) and Tio Ellinas (Slidesports Engineering) to the front row of the grid for the first of the day’s races at Silverstone. Zamparelli, Ellinas and 17-year-old Porsche GB 2018 / 2019 Junior Dan Harper (JTR) ended Saturday’s qualifying session split by just 0.060s – Harper started from the second row of the grid alongside team mate Lewis Plato (JTR). At the start of the race the first two rows of the grid got away evenly, but it was Tom Wrigley (JTR) from fifth position who made the best launch – Wrigley moving up to challenge for second position through the first corner. Ellinas, Wrigley, Rookie George Gamble (Amigos Team Parker), Harper and Plato ran down towards Maggots corner dicing for position, Ellinas ultimately retaining second spot with Wrigley slotting into third. As they completed the first lap the top six were; Zamparelli, Ellinas, Wigley, Gamble, Plato, Harper and Will Bratt (IN2 Racing) who were all running line astern. In the Pro-Am category Dan Welch (Welch Motorsport) retained his position at the head of the category on the opening lap, behind him championship leader Jamie Orton (JTR), Dan Vaughan (Motorbase Performance) and Seb Perez (Amigos Team Parker) battled for position – Orton soon spinning as a result of contact that occurred in the melee, this resulted in his retirement from the race. The action left the Pro-Am order at the end of the opening lap; Welch, Vaughan and Esmee Hawkey (GT Marques). In Am, Peter Kyle-Henney (IN2 Racing) and Peter Mangion (Team Parker Racing) led Iain Dockerill (Asset Advantage Racing), Dockerill having passed David Shaw (G-Cat Racing) during the first lap. Early into the race Harper mounted a successful challenge on Bratt for sixth position before setting after Plato in fifth. Meanwhile Vaughan passed Welch to take the lead of the Pro-Am category. From second place Ellinas soon led a train of cars back to Harper in sixth, the Cypriot fending off the constant advances of Wrigley. Just a handful of laps later Perez overtook Hawkey for third spot in Pro-Am. In the Pro category Harper looked for a way past Plato for fifth, moving alongside him on more than one occasion before finally making a move stick on lap 22 – Bratt kept a watching brief just behind Plato in seventh. Plato and Harper swapped positions twice more before the battle was resolved in favour of the Junior driver, as Plato and Bratt fought for sixth position the pair made contact and Plato spun, he recovered in eighth spot where he would finish his race. After 28 laps Zamparelli crossed the finish line with a 3.8s lead back to Ellinas with Wrigley in third position, Vaughan clinched victory in Pro-Am from Welch and Perez. In their important Am category championship battle, Kyle-Henney took maximum points from Race One with Am victory from title rival Mangion, Dockerill was the final category podium finisher. As part of the 2018 podium procedure, overall winner Zamparelli selected at random the number 4 ball, which reverses the grid positions of the top four overall race finishers from Round Thirteen. This formed the starting grid for round fourteen; Gamble, Wrigley, Ellinas, Zamparelli. From the front row Tom Wrigley (JTR) made a good start to take the lead of Race Two with a move on Rookie George Gamble (Amigos Team Parker) through the first corner. With his title rival Tio Ellinas (Slidesports Engineering) in third position, championship leader Dino Zamparelli (Redline Racing) lost two places at the start to sit sixth with 17-year-old Porsche GB 2018 / 2019 Junior Dan Harper (JTR) ahead in P4, and Lewis Plato (JTR) in P5. Dan Vaughan (Motorbase Performance) led the Pro-Am runners with Seb Perez (Amigos Team Parker) moving past Dan Welch (Welch Motorsport) on the first lap – category championship leader Jamie Orton (JTR) retired from the race. Of the Am category drivers Peter Kyle-Henney (IN2 Racing) maintained his lead, Iain Dockerill (Asset Advantage Racing) overtook Peter Mangion (Team Parker Racing) for second position. During the early laps of the race Harper challenged Ellinas for third, before coming under pressure himself from Plato – Plato began a fierce battle with Harper which would run for the duration of the race. Behind them Pro-Am driver Perez moved into second position with Vaughan now behind him. On lap 14 Kyle-Henney spun from the lead of the Am category battle leaving championship rival Mangion to assume the race lead – Dockerill subsequently moving into second with David Shaw (G-Cat Racing) promoted to third. On lap 17 Ellinas was handed a five second penalty for exceeding track limits to be applied post race, this spurred the Cypriot on to make a move on Gamble for P2, however on corrected time with his penalty applied Ellinas actually ranked sixth. Crucially this put Ellinas behind championship rival Zamparelli in the corrected order. On lap 25 Harper became embroiled in a dice with Gamble, the pair swapping positions several times before the Junior finally made his move stick to assume P2. Gamble soon developed a puncture forcing him to park his car at the side of track promoting Plato to the final podium position. In the dying moments of the race Perez also picked up a puncture but continued his race, Zamparelli suffered an issue with his car causing him to slow, yet he made it across the finish line in P5 overall. Wrigley took the chequered flag to take his third victory of the 2018 season, he was joined on the Pro category podium by Harper and Plato. Forming the Pro-Am podium alongside category winner Perez was Vaughan and Welch. In the Am category Mangion stood on the top step with Shaw taking second and Dockerill third. For his performance at Silverstone Dockerill was handed the Driver of the Weekend accolade, IN2 Racing were awarded Team of the Weekend.